The Pottery Flat07790949583work Self-cateringThe Pottery Flat is in the heart of Brampton, Chesterfield where there were once 12 potteries. It is above JMJ Pottery. 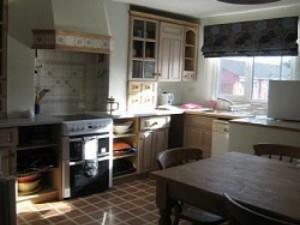 The flat is a separate self catering apartment and is very well appointed. Nearby are restaurants, take aways and two supermarkets. The Flat is very well positioned for visiting Hardwick Hall, Bolsover Castle and Chatsworth House, home of the Cavendish Family, the Duke and Duchess of Devonshire. Haddon Hall, home of Lord Manners is also not far away, close to Bakewell and Matlock and of course Matlock Bath a popular visiting spot. On the door step of the Peak District National Park, a most beautiful walking and climbing area of the country.